Its ability to simultaneously drive, maneuver and pivot is key to the high productivity. Switch to space management, mobility and stability. The stability of this machine is 100% assured: whatever is lifted by the bucket at the front, once the rear axle is locked, can be turned through 180° without any loss of steadiness. Thanks to this incredible stability in all positions and on all terrains, the Swing loader is able to radically transform the logistics of construction sites. Whatever the circumstances, it never loses its equilibrium whether moving on site, between sites or during the various work stages, maintaining its mobility while reliably and securely overcoming any obstacles with ease. Its small turning radius ensures a very high degree of manoeuvrability, even on the most confined sites. Urban construction sites are often congested, work space is limited and ground conditions are often compromised. Designed around a one-piece frame with 3 steering modes as standard - 2 wheel steering, 4 wheel steering, crab - the mobility of this machine is 100% assured. 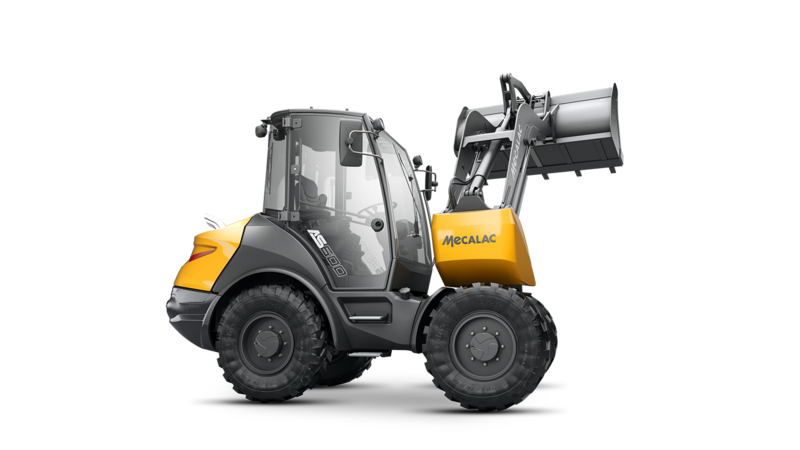 With 4 wheel steering, combined with the 180° swivel arm, the mecalac swing can perform a complete rotation on a footprint that is 20% smaller than that of a conventional loader. 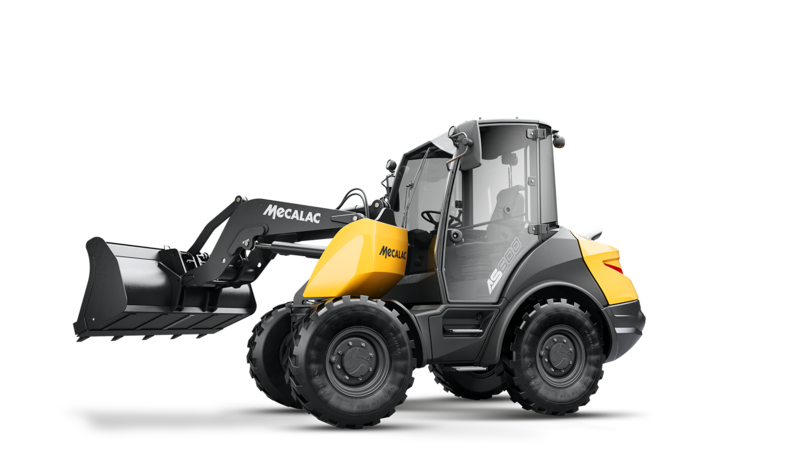 Urban construction sites and places with limited space and time are the natural environment for the compact wheeled loader. 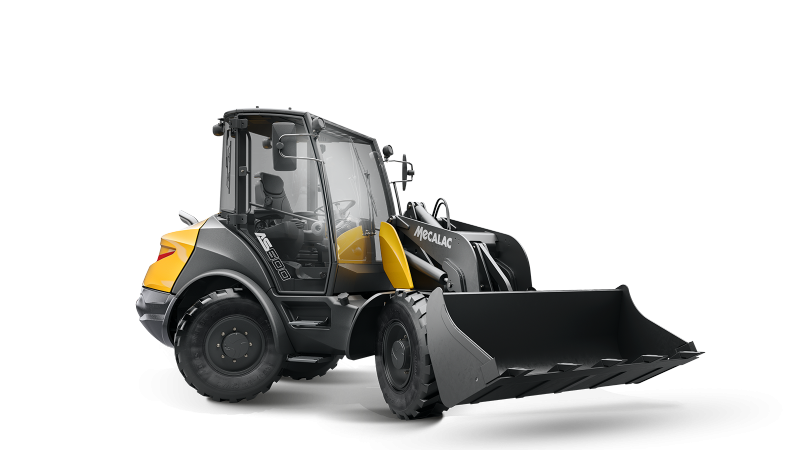 In addition to this compactness, essential in these environments, the efficiency of a wheeled loader is determined by its loading and unloading cycles. These cycles consist of many time consuming manoeuvres that account for a large proportion of a conventional loaders working time. 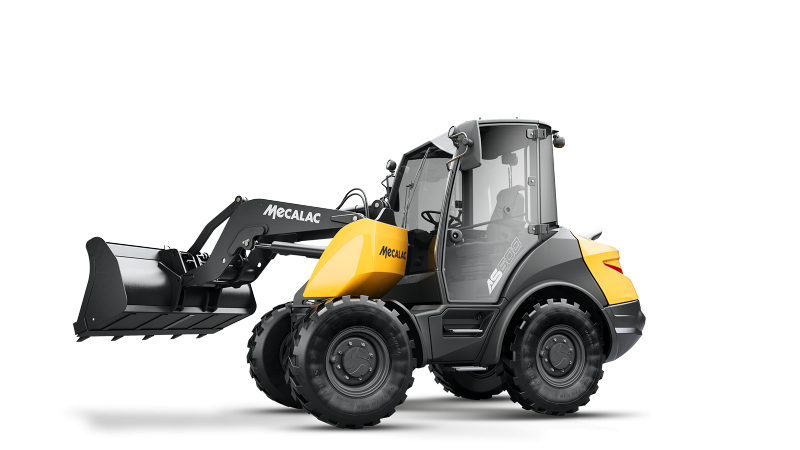 Taking these considerations as a starting point, the innovative Mecalac Swing loader concept was born. 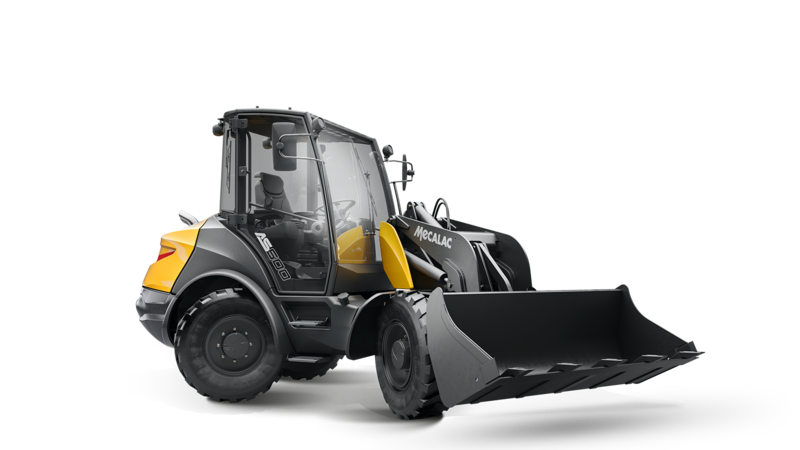 The swing concept places an even greater focus on the actual operation of a wheeled loader in order to make it more efficient and more comfortable for the driver. Greater benefit in operation has already been achieved by saving time in all maneuvers and avoiding unnecessary movements to optimize the use of the available space on site. The Swing loader, thanks to its arm, pivots instead of having to reposition. As a result, less time is wasted, less noise and visual nuisance are generated, less maintenance is required, and there is a lower risk of accidents and less impact on the environment. For example, a conventional loader needs 10 meters of footprint to load a truck, the Swing only needs 5 meters. In the same way, not blocking traffic while filling a trench also means time saved and disruption minimized. 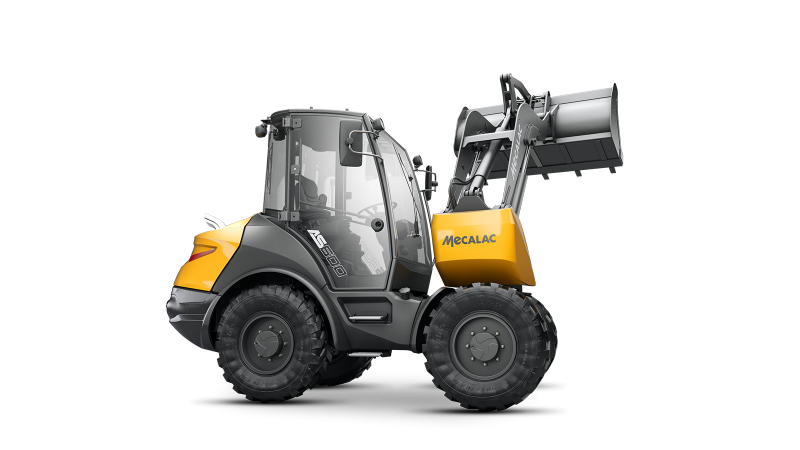 The unparalleled compactness of the Mecalac Swing loader allows it to dump sand in a single lane where other loaders encroach on two lanes.